The Powerplus lawnmover is a standard petrol driven lawn mower specially designed for gardens and small lawns. Homeowners who fancy a light lawn mower instead of a larger and heavier machine can definitely enjoy this 3 in 1 machine built by Powerplus. 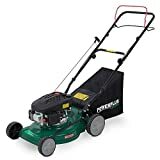 However, the Powerplus lawnmover is not just the best choice for people who love small and reliable lawn movers, but also for seniors, homeowners with small gardens and people with more houses due to its light weight frame and easy portability. The Powerplus machine for cutting grass is exceptionally well built using the highest quality steel. The parts do not break and are specially built to stick together. This machine performs very well in the rainy and windy British weather. the machine in less than 5 seconds. 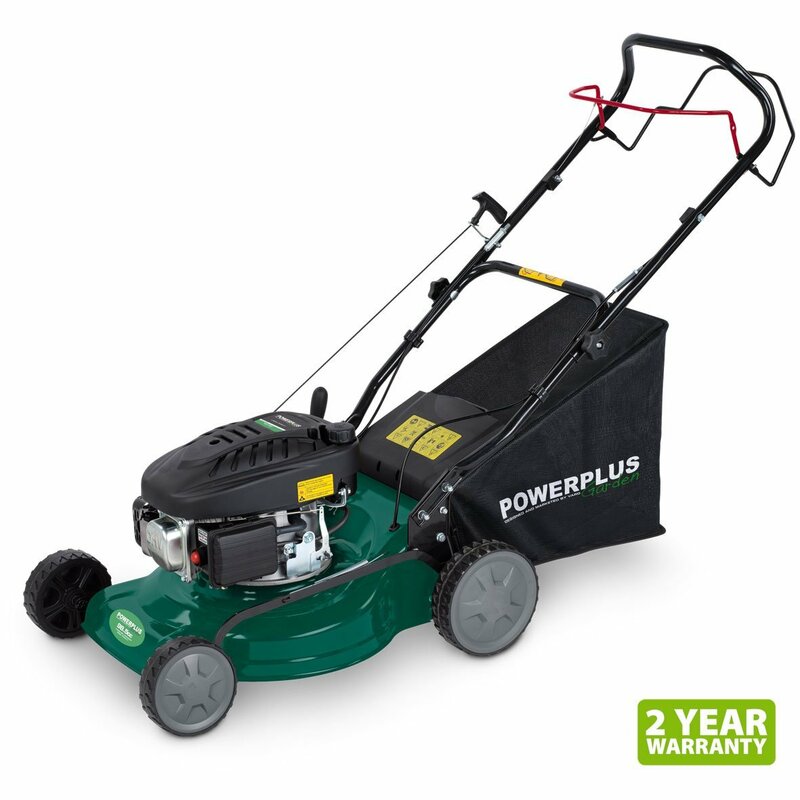 The Powerplus lawnmower is 3 in 1, which means it will cut, collect and then mulch the grass. What really makes this machine stand out in the market is the large number of height settings – 7 to be precise. Most other lawn mowers available in the UK have only 3 or 4 height steps. Additionally, this machine comes with 2 full years warranty, giving buyers the peace of mind that their investment is secure and will eventually pay off by itself in as time goes on. The following are some positive aspects of the Powerplus lawn mower as highlighted by some of the people who bought it. – Lightweight: due to its extreme lightness, this lawn mower can be easily carried around. You can move it to another location, place it in your basement and even lend it to your neighbour. Due to its lightness, this is the perfect lawnmower for old gents and ladies or those who do not like carrying heavier mowers. – Gets the job done quickly: users who have tried this device were extremely happy with the results. Whatever the length of the grass, you can do a great job at cutting it thanks to the 7 height settings. The Powerplus lawn mower has been found to perform exceptionally well on both dry and wet grass, which makes it the perfect petrol lawn mower for the British weather. Looks: It does not have the great looks and straight lines of some of the other brands like Bosch, Honda and Qualcast. However its light weight comes from not having unnecessary body parts added with the focus being on performance.